Geometrics and a-symetrics take over. 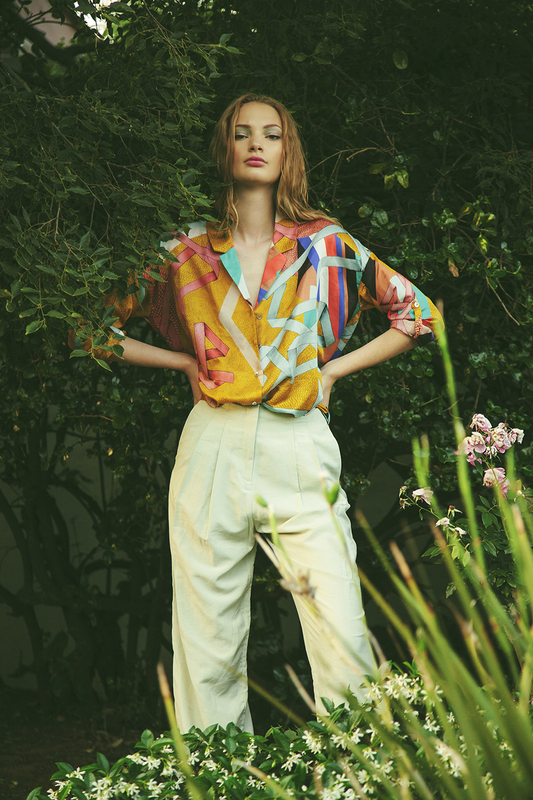 in 70’s inspired in bold shapes & brights. The order and chaos of the ribbon, trying to connect bits and pieces. Colours are bright in de moutarde colourway, like the sun that comes up in the morning. The beaujolais has the warmth of the evening, smouldering after a warm day. 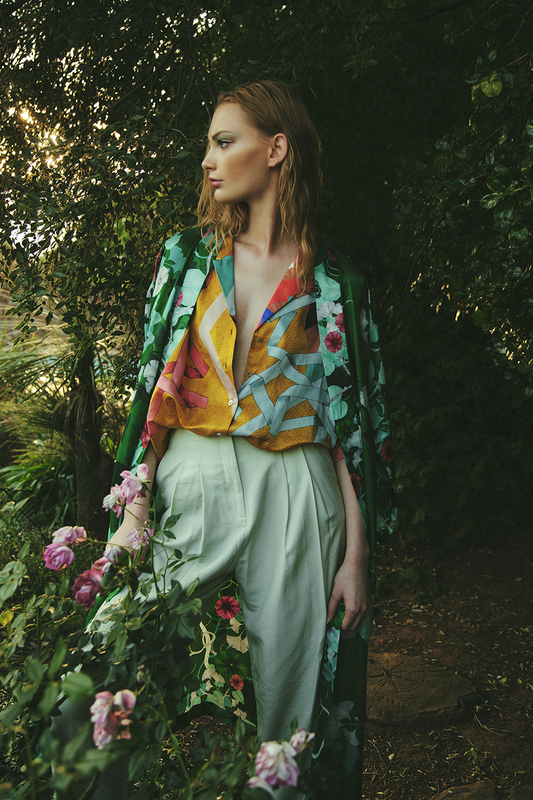 This print is available in a long kimono, a boxy blouse and silk twill scarf.